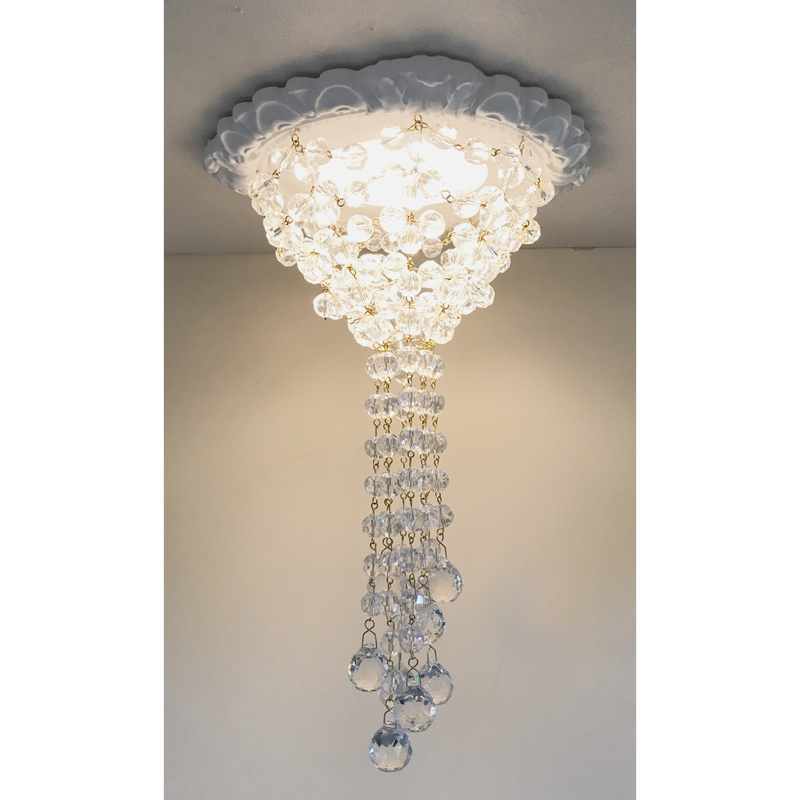 This 4″ Victorian style recessed chandelier comes with a 4″ LED Retrofit assembled with the decorative trim and 12mm crystal cage with 20mm faceted crystal balls. It is jewelry for your lighting. The ultimate transformation of a recessed light from industrial recessed lighting to a beautiful light source. 4″ Victorian decorative recessed light trim comes with a 4″ LED Retrofit. Recessed Light trims are cast in urethane resin.